The below map highlights the places with the highest net worth. The study takes into account net worth as a percentage of income and net worth as a percentage of debt. Scroll below to view the data and methodology for how the data was researched and compiled. Our study aims to find the places in the United States where residents have the highest net worth. 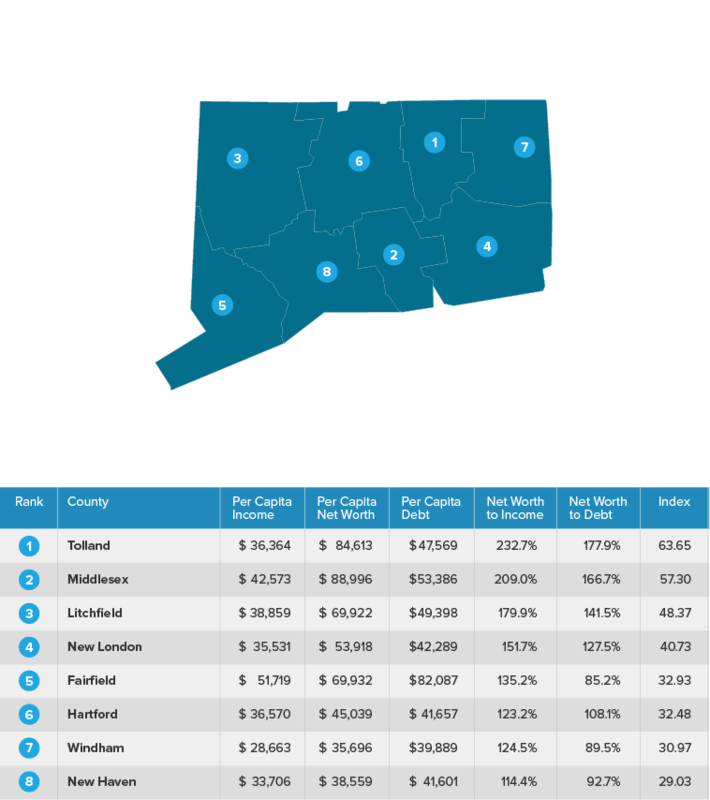 To do this, we calculated the ratio of net worth to per capita income for every county. This number can serve as insight into how much people have saved or invested relative to their income level. We also calculated the ratio of net worth to debt per capita for each county. This measure incorporates a view of a county's debt burden relative to net worth. Lastly, we indexed each factor and calculated an overall index by taking a weighted average of each of these indices. The net worth to income index was given a weight of two and the net worth to debt index was given a weight of one.